Superb 18th century mansion set in parkland and fine gardens, located at Torpoint. Times for screenings for the latest blockbuster. Balloon decoration for weddings, parties and corporate events throughout South Devon. Start your plans for the week with an up to date check on Brixham’s weather. Ben Lee Photo imagery is a Devon based Wedding, Portrait and Commercial photographer committed to providing the highest quality imagery and service - Photography just for you! Strand Art Gallery, situated on the Brixham harbour side, is one of the oldest and largest art galleries in Devon and the West of England. Situated in Brixham town, Bait & Tackle are sure to supply you with any fishing needs you may have. The Brixham Battery Heritage Centre Group was founded in 1999, by a group of volunteers helping to restore the Brixham Battery and provide on-site information to the general public. The group uses the Artillery Training Section (ATS) hut as its education centre and museum after having secured a 25 year lease from Torbay council. The new local Cricket Club, take a look! Striving to create, ‘the best sandwich or baguette you’ve ever tasted’. Located in our main town, on Fore Street. Brixham Museum & History Society was founded in December 1957 to record, preserve, and promote the story of our historic town and its people. Brixham Marina is situated in the heart of this picturesque old Devon town. Sheltered from the south-westerly winds and offering safe access in all weathers and at all states of the tide, the 500 berth marina is always busy, especially in summer when many cruising rallies and boating events take place. The theatre hosts local and wider shoes: plays, musicals, live music, pantos; in effect something for all ages and tastes. Online booking is available now as well. Shoalstone pool is one of only a few left in the country, with large open areas to relax in and enjoy the sun. There is also a small shingle beach adjacent to the pool. There is easy access with adequate parking, and conveniently located outside the main hotel gate! Our very successful local Rugby Club, home of the Fishermen! Brixham Sea School is a recognised RYA Training centre. They offer RYA Sailing & Shore based courses at comfortable student to instructor ratios whether aboard one of their fleet or in the classroom. They specialise in personal, comfortable sailing experiences at realistic prices. Based in Paignton, Cake Couture specialise in the creation of beautiful, hand crafted celebration cakes. Their range of cakes includes wedding cakes, birthday cakes, photo cakes, engagement cakes, anniversary cakes and christening cakes. Mark Nesbitt is an award winning Irish cartoonist and caricaturist who has worked under the pen name of ‘Luke Warm’ since 1990. After 11 years in London he moved to Devon in 2003 and now works all over the south west - even as far south west as the Caribbean for P&O. Located about a mile outside the town of St Austell is Charlestown, an amazingly pristine, unspoilt example of late Georgian working port. Pots of fun for everyone! Situated in Totnes, Devon China Blue is a lovely day out. Step into the home accessories store and experience the excitement of entering Aladdin's cave. Visit the Ceramic Studio and make all your creative dreams come true. Created in 2008 to market the fabulous food and drink that is produced in the South Hams. A trusted expert in all things boating. From taking a trip on a sailing boat, rib or luxury yacht, to having your boat serviced and maintained. Even supply of new and used boats and chandlery. Travel back in time to the Jazz Age at the holiday home of the D'Oyly Carte family. A luxuriant garden by the sea, with an Arts and Crafts-style house, featuring Art Deco influenced interiors. You’re guaranteed a great day out at Devon's Crealy! Explore the Adventure Zone, with six super slides, aerial walkways, climbing nets, ball pools and mazes - with two floors to explore, it's double the fun! Keith Hathaway is an award winning Master Photographer and was voted South West's Portrait Photographer of the Year 2012 by The Master Photographer's Association, and he started Creativephotos almost 5 years ago. Caz Greenham, a regular customer of ours and creator of Eric Seagull, Storyteller. Here you’ll find more about this children’s author, her first book about Eric Seagull’s adventures, and her plans for the sequels. A family run business based in Torbay offering a bespoke, friendly and professional service giving you the opportunity to hire their chauffeur diven fully restored show winning vw splitscreen campervan for your special day. A jewel of the South Hams. Ancient narrow streets, boutique shops, art galleries & delicatessens. A cobbled market place features colourful stalls and Farmers markets supplying local produce. Travel by road through Totnes or hop on the ferry across the river. Dylan & Vicki Boulter ASWPP are international award winning creative reportage photographers base in Torbay, providing wedding couples with beautiful photography for the past 10 years. The Eden Project does much more than offer a memorable day out in Cornwall. Eden works as a charity and social enterprise. As well as creating stunning gardens and laying on fantastic arts and music events. Tucked away at the end of a bustling high street, you will find an array of handpicked designer wedding dresses, shoes and accessories. This unique and exclusive bridal haven also offers a bespoke design and dress maker service, where expert guidance and advice will help you to discover your dream couture wedding dress. All the tourist information you will need about South Devon’s beautiful bay! Owned by our brother Jonathan Cuming, Feniton Court estate is situated in the lovely Devon countryside between Exeter and Honiton. From here, Jonathan specialises in rare breeds, having an award winning long horn herd. In addition, they are renowned for their Feniton pork and lamb. The meat from Feniton is prepared at a local abattoir, some four miles from the estate. We are proud to be associated with such fine local produce. A 29ft boat available for hire for up to 12 people. Why not sail down the Dartmouth River while enjoying a bite to eat and drink! A full size replica of one of the most iconic ships from the age of exploration, situated in our Brixham Harbour. There's so much to see and explore above and below its five decks, with many hands on exhibits giving the visitor of all ages a wonderful insight to the incredible life at sea in Tudor times. 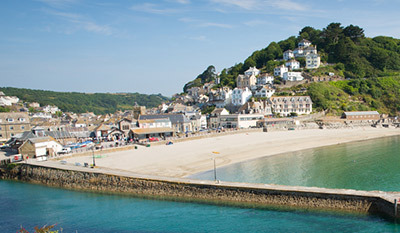 Boat trips, ferry services and excursions departing from Torquay, Brixham, Dartmouth, Dittisham and Totnes – Taking to the water is a must when visiting South Devon’s beautiful bay home to the towns of Torquay and Brixham, or the South Hams picturesque port of Dartmouth. Grenville House offers a high quality experience providing opportunities for individuals to operate as part of a team. The focus is placed upon celebration of both the extension of, and venturing beyond comfort zones plus an appreciation of personal responses as well as those of others when facing up to a range of challenges. Our sister hotel, the Hannafore Point offers stunning panoramic views across Looe Bay and the unspoiled Cornish coast. Visit Lovell Rugby for great prices on all Rugby equipment. Located locally in Paignton. "We Are Hector" from "Max Hector Photography"
Photographers that have some of their work displayed on our website. Available for weddings, parties and other occasions. Nicola is a local, Professional Wedding Photographer. Her style is based on a fun, relaxed and unobtrusive approach to photography, mixing a candid style with formal images if required. Her aim is to capture every moment of emotion, laughter and all the little details that are so important in telling the story of your day. Occombe is a working organic farm, situated on the edge of Paignton - nowhere else in the region can you get this close to local wildlife, experience the day-to-day workings of an organic farm and sample authentic Devon food and drink. Explore the big wild world at Paignton Zoo, the King of Zoos! Discover more animals than any other Zoo in the south west for a really wild time. Meet all of your favourites - giraffes, lions, gorillas, cheetahs and thrilling crocodiles, plus cheeky meerkats, colourful snakes and amazing monkeys. Go and get close to over two thousand creatures. But better leave a whole day - you'll need it! The company used to install our hotel lift, giving disabled access to both floors of bedrooms. Visit this site for show times for productions and performances. Come on water are you waiting for? A great family, fun attraction whether you want the full on rush of our exciting drop slides and flume rides, the carefree fun of tube rides, or just a splash in the pool and laze in the sun, something for everyone. The definitive UK hotel directory listing the finest hotels in Great Britain. Locally based husband and wife team with over 20 years experience in wedding photography. Their flexible and friendly approach ensures you will receive a captivating collection of images to last a lifetime. Whether you're looking for a musician to provide a beautiful accompaniment to your special day, strolling entertainment to wow your guests at the wedding breakfast or a spectacular showband for your reception they have the knowledge to make your dream come true. Headwear to turn heads. Margaret (Maggie) Duffy has only one ambition, to make a headdress that not only suits your personality and style but will also complement your outfit perfectly. You will be advised on how to wear your chosen headpiece which is a service often overlooked by other designers. Woodlands Family Theme Park Devon provides a whole day of variety for all ages. Incredible indoor centres, outdoor adventures, Zoo, Big Fun Farm, Falconry Centre and Wildlife Sanctuary. No wonder families say it’s the best day out in Devon.